Published: In the UK by Gollancz, 2007. [Paperback, £6.99, ISBN: 0-575-07003-X, pp. 405.] Also Gollancz Future Classics, 2009. [Paperback, £7.99, ISBN: 978-0-575-08115-4, pp. 375.] 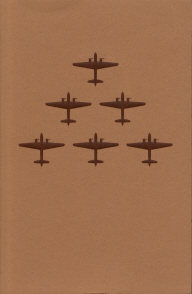 In the US: Valancourt, 2015 [ISBN 978-1-941147-90-0, pp.353]. Also available in translation. Awards: Arthur C. Clarke Award, 2002; BSFA Award for best novel, 2002; Grand Prix de l’Imaginaire, 2006. 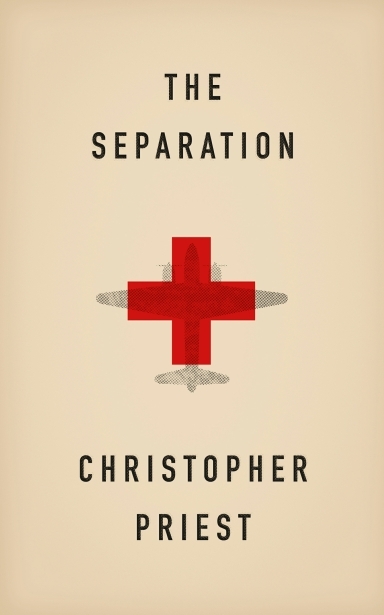 Chris Priest’s eleventh novel is a re-examination of the early years of World War II through the story of two young men, identical twins, involved in totally different ways in the conflict. Complex personal and moral issues separate them. Both men are destined to become victims of the war, one a pacifist, his brother a warrior. The reader is drawn steadily into the maze, betrayed both by history and memory. Old Earth Books’ beautiful hardcover edition is obtainable direct from the publisher at the normal price. Click here to go direct to Old Earth Books’ website. Gollancz’s Creative Director, Lucie Stericker, won the prestigious D&AD yellow pencil award for the design of the Future Classics range, of which The Separation was a part. 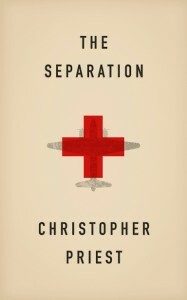 The understated cover appears here; other titles in the range looked different.